Have you been filling any form online that pertains payments of any work done or business transaction, may be buying from online stores like Amazon, Jumia, Konga etc and you are ask of SWIFT code? If yes, then you are at the right place to know what SWIFT code is all about and how to get it from various banks in Nigeria. SWIFT Code is a standard format of Business Identifier Codes which is approved by the International Organization for Standardization (ISO). It's an authenticated identification code made for both financial and non-financial institutions around the globe. 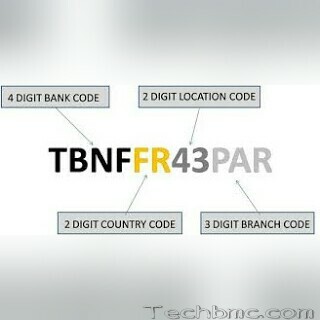 Read on to get the complete list of all Nigerian Bank SWIFT code coupled with more details. What is The Full Meaning Of SWIFT Code? The acronym of the word "SWIFT" implies Society for Worldwide Interbank Financial Telecommunication and it serves as a body/ organization that are in charge of monitoring or handling any transaction between international Banks. Having known that, SWIFT Code is a standard format of Bank Identifier Codes (BIC) which is used by every bank, as a unique Identification Code. When and How is The SWIFT Code Used? SWIFT Codes can be used when you are transferring money between banks, especially for International Wire Transfers. Also Banks use the codes for inter-exchange of messages between themselves. How Does A SWIFT Code Looks Like? A SWIFT Code contains 8 or 11 characters.The basic thing to note about that is, Whenever the code is 8 characters, just have it in mind that such SWIFT code is for primary office or headquarter of any Bank. But when the code appears to be 11 characters, know that, it's meant for branch office of that particular Bank. Having taken note of what this code is all about above, then proceed to get the SWIFT Code of the bank you are banking with. As you may know, The SWIFT Codes listed below are those of the active participant connected to the SWIFT network located in La Hulpe, Belgium. If the SWIFT Code of your Bank is not listed below, that means they are not currently connected to the SWIFT network, thereby referred to as passive participants.